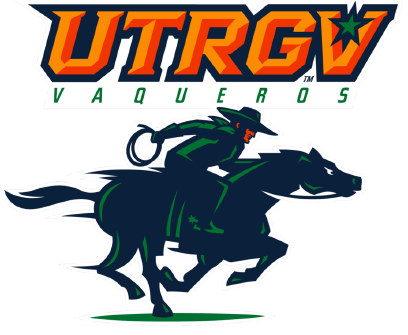 EDINBURG — The UTRGV Vaqueros unleashed a 3-point barrage in the first quarter, started the second half with a 14-2 run and held Chicago State to seven fourth-quarter points to vanquish the Cougars 81-44 Saturday night at the UTRGV Fieldhouse. Five players combined to drain seven 3-pointers in the opening period, and four Vaqueros wound up in double figures to help the UTRGV women’s basketball team (11-10, 1-5) earn its first conference win. The victory snapped a five-game conference losing streak. Indeed it is. Many of Chicago State’s 22 turnovers resulted in points for UTRGV in the form of fast-break layups or unguarded 3s. UTRGV held Chicago State to a paltry 14 points in the second half on 23.7 percent shooting. Outside of a short burst late in the second quarter, the 0-21 Cougars never legitimately threatened the Vaqueros. Meanwhile, UTRGV was on a roll offensively. Thirteen Vaqueros put their name into the box score with an array of shots and drives to the rack. UTRGV made 29 of 58 shots, but even more importantly for Tidwell, his team shot nearly 50 percent from behind the arc, going 11 for 24. Johnson, Jameka Dowell, Quynne Huggins, Nichelle Hyman and Idil Turk all hit two treys, and Edinburg native Daniela Azubell hit another. The Vaqueros totaled 24 assists, led by eight from Brownsville native Valeria Tapia in just 17 minutes of play. Tidwell has no illusions that the Vaqueros can still compete for a WAC regular-season title after starting conference play 0-5. However, he said the team should focus on playing 11 more games: eight on the conference schedule and three more in the WAC tournament.